LOS ANGELES – POLLSTAR LIVE! 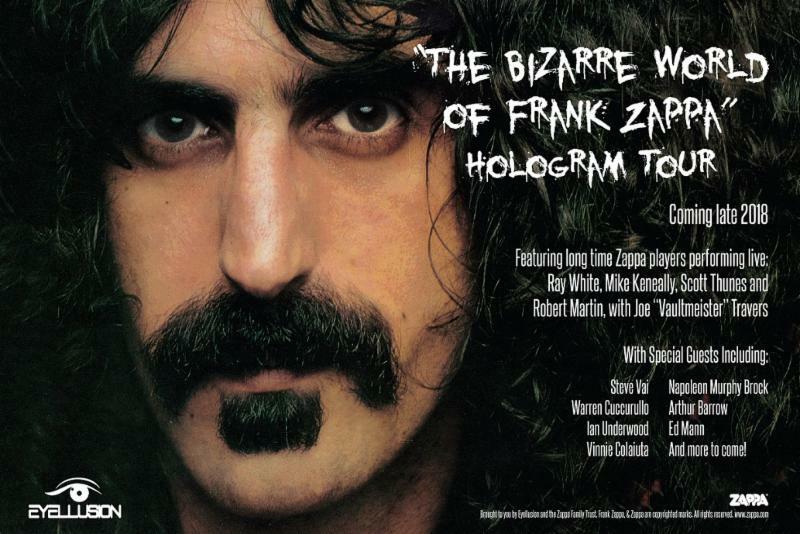 – FEBRUARY 5, 2018 – Live music’s premier hologram production company Eyellusion, today announced that a who’s who of Zappa fan favorite musicians will support “The Bizarre World Of Frank Zappa” hologram tour set to hit music venues in late 2018. Longtime and legendary Zappa players Ray White, Mike Keneally, Scott Thunes, Robert Martin and Joe “Vaultmeister” Travers are set to perform as the show’s touring lineup; they will be joined along the way by Steve Vai, Warren Cuccurullo, Ian Underwood, Vinnie Colaiuta, Napoleon Murphy Brock, Arthur Barrow, Ed Mann and more. Hours of never-before-seen Zappa performance footage from the early seventies will form the basis of the “can’t miss” concert spectacle. Eyellusion is producing the tour in close cooperation with the Zappa Family Trust and made the announcement at the annual Pollstar Live! event, where it is nominated for an award in the “tech enhancement of the year” category. In 1974, Frank Zappa transformed his Los Angeles rehearsal space into a sound stage and cranked out a passionate, trademark performance seen only by the camera operators in the room who captured every last bizarrely beautiful moment. This footage, locked away in the Zappa vaults for 44 years, will serve as the basis for what will be the world’s most ambitious hologram tour to date, blending live footage of Frank with outrageous visuals that offer a striking view into his complex musical works. Dates for “The Bizarre World Of Frank Zappa” performances will be announced in the coming months. Eyellusion recently wrapped the European leg of its “DIO Returns” tour featuring a hologram of the late Ronnie James Dio backed by the DIO Band. The tour played to sellout crowds, ripping through Germany, Poland, Spain, Romania, United Kingdom, Netherlands and Belgium. 2018 dates will be announced soon. Eyellusion is live music’s premier hologram entertainment company, responsible for launching rock’s first hologram world tour featuring hard rock icon Ronnie James Dio. The company brings decades of global music industry and live touring experience, combining deep expertise with cutting-edge production and hologram display capabilities. As music industry business models evolve, Eyellusion is working with a fast-growing roster of artists to open up new revenue streams, expand touring capabilities and meet fan demand. 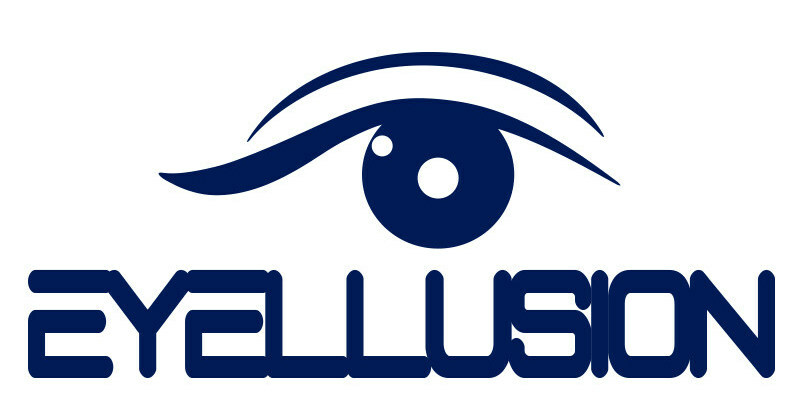 Eyellusion is based in Los Angeles with offices in New York. For more information, visit www.eyellusionlive.com.